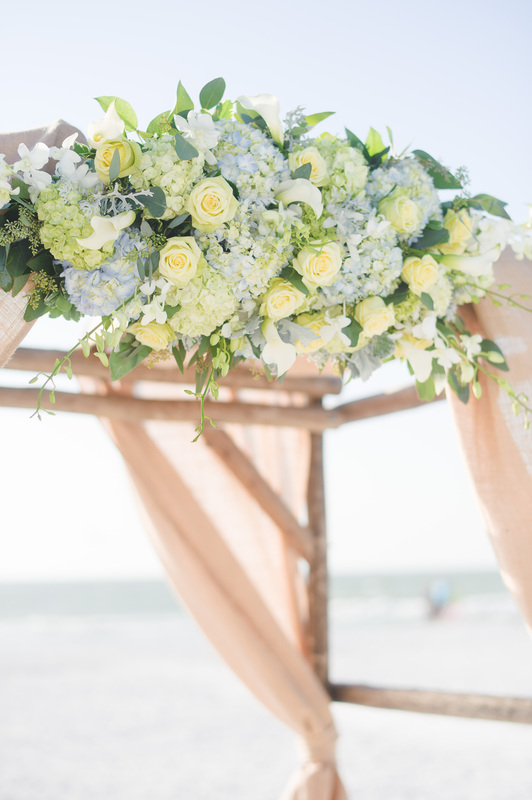 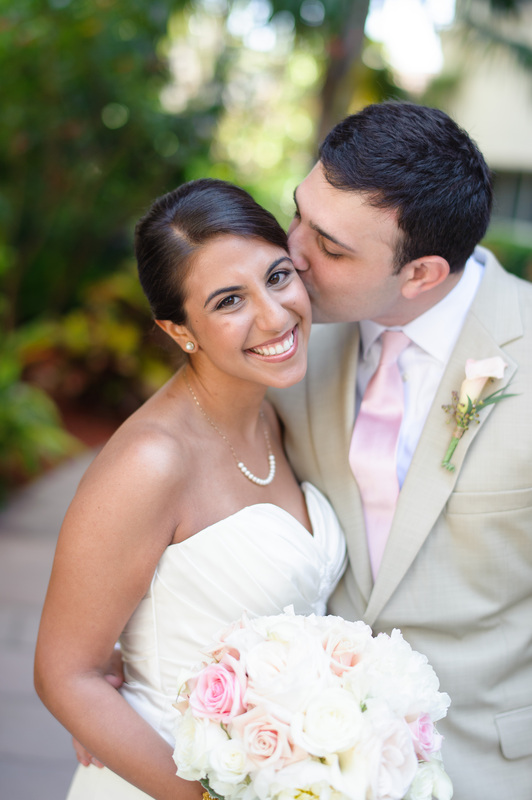 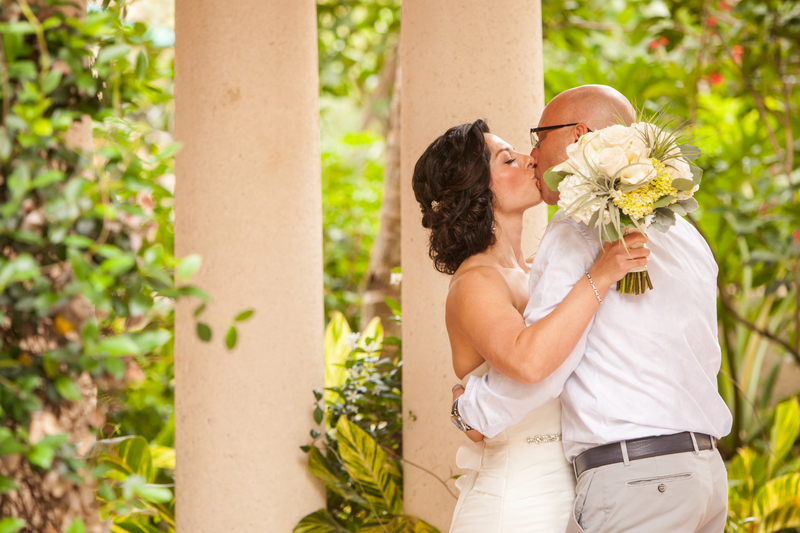 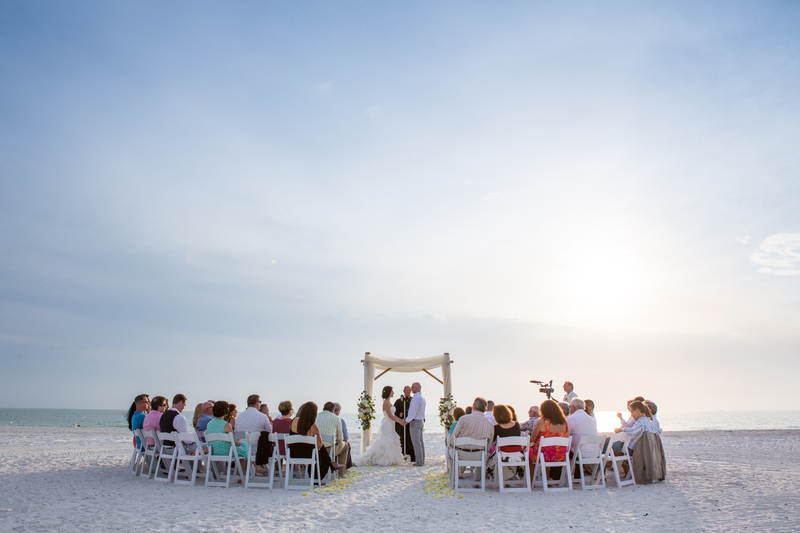 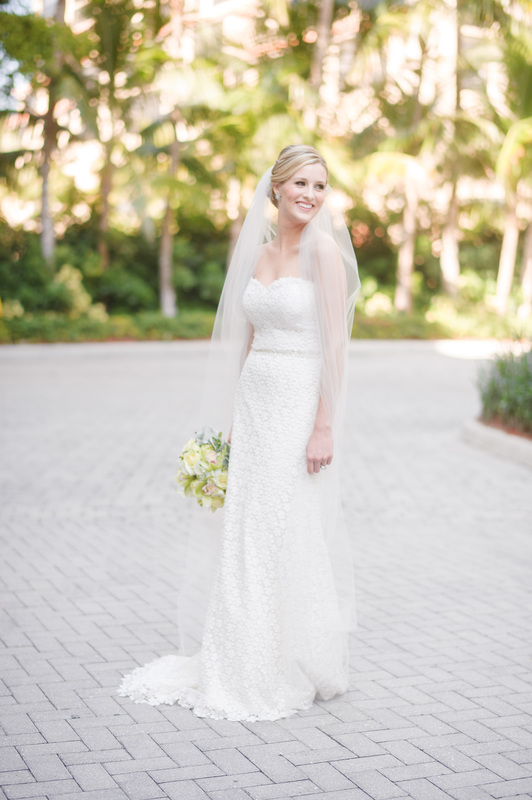 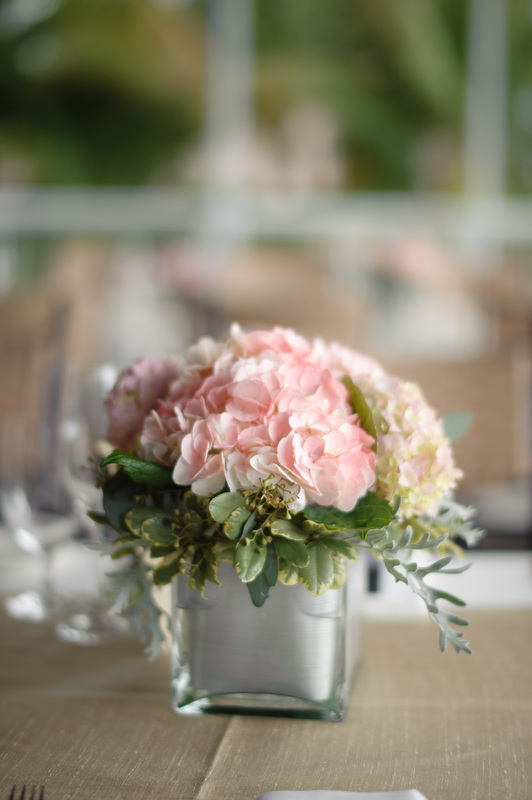 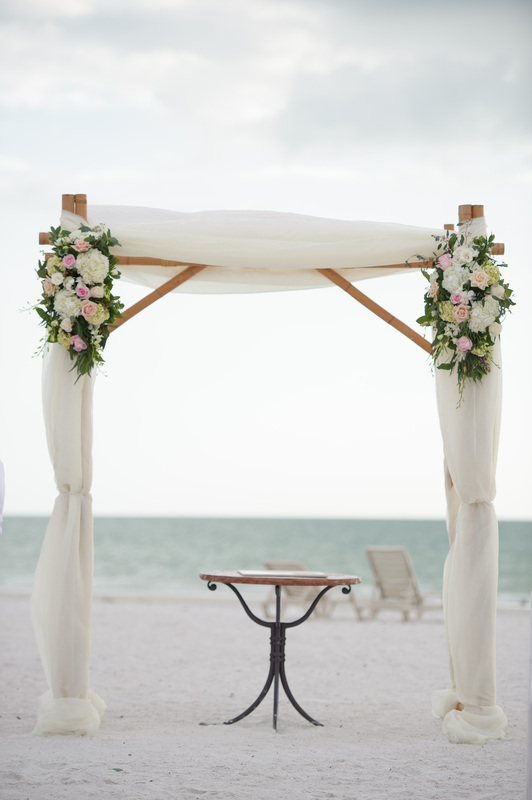 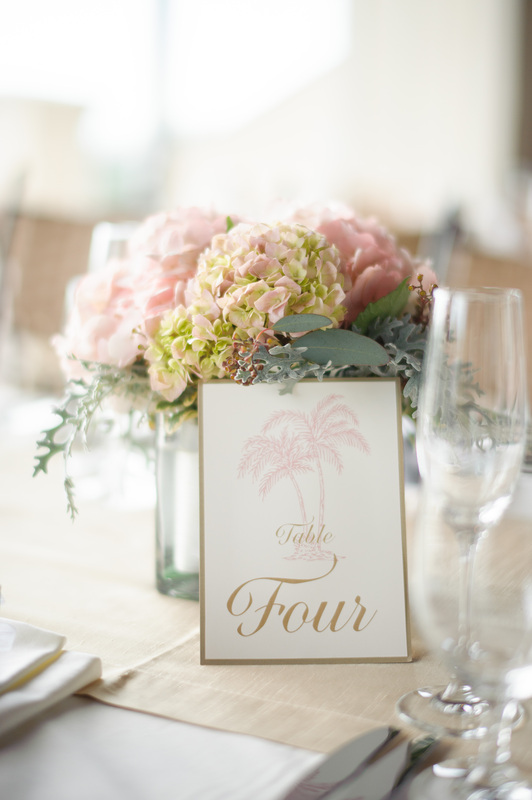 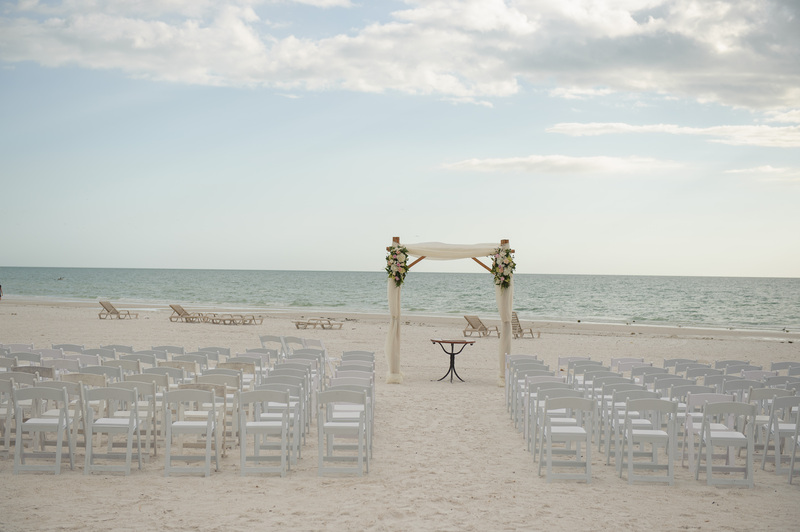 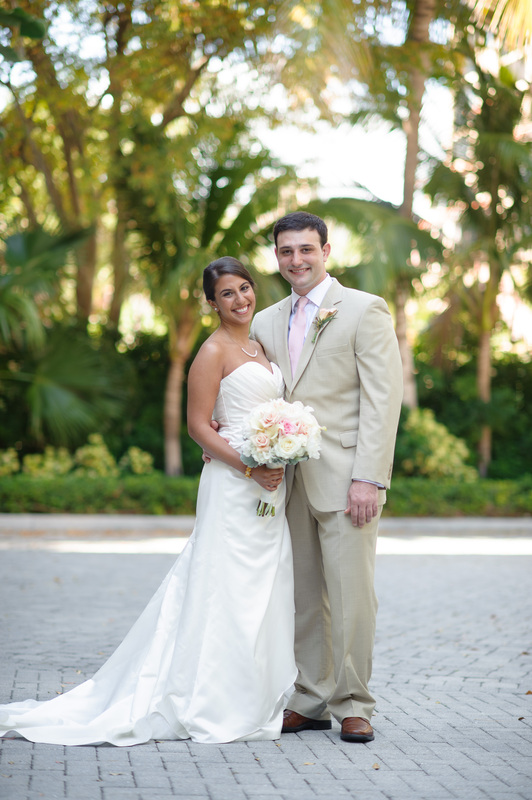 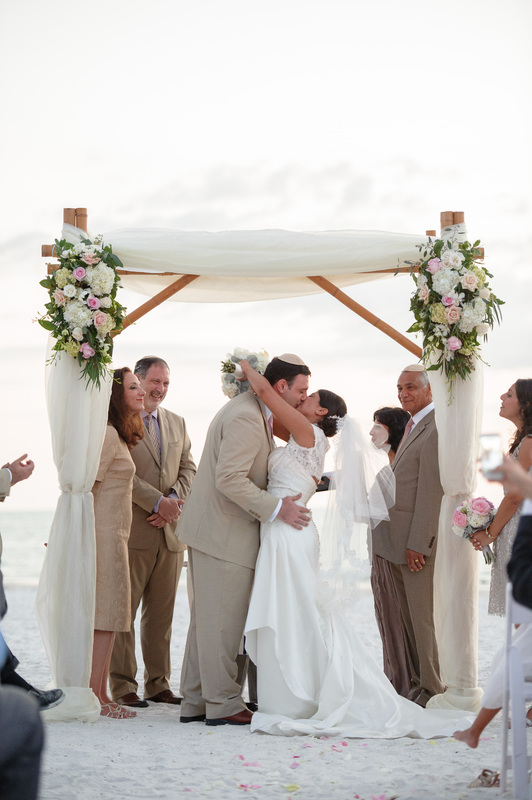 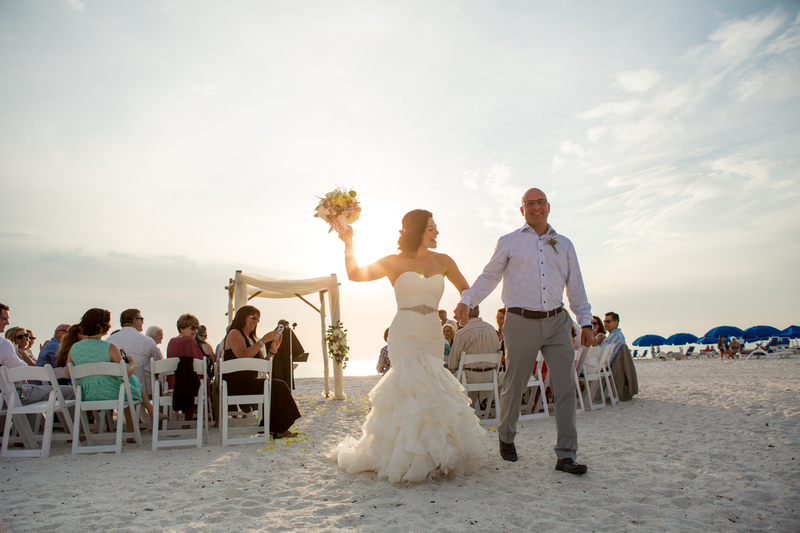 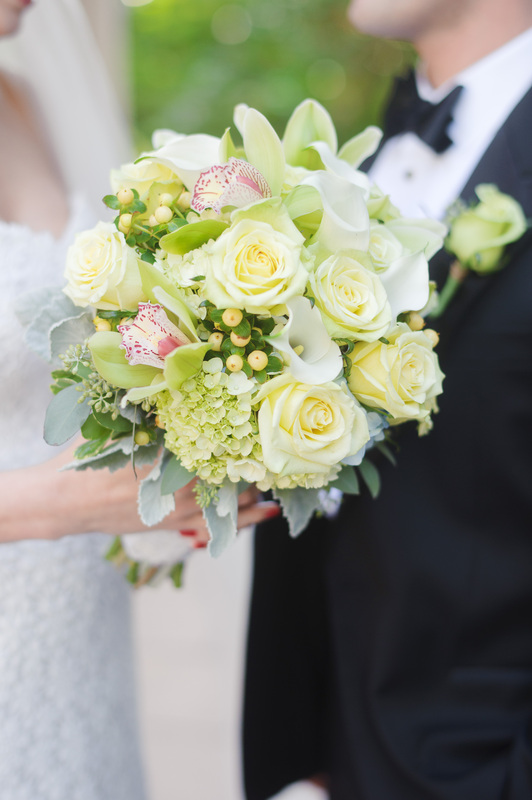 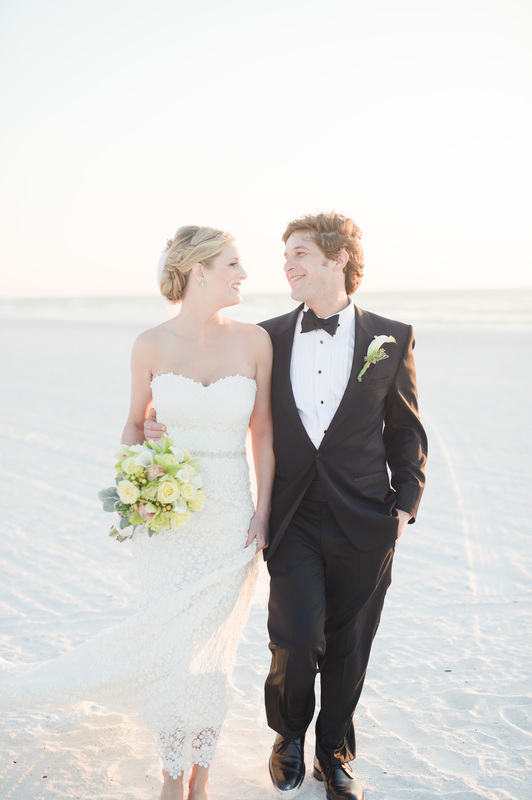 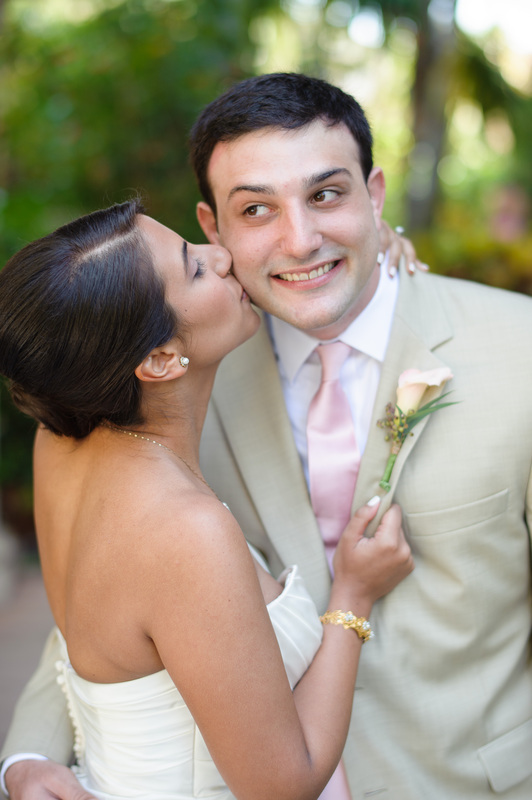 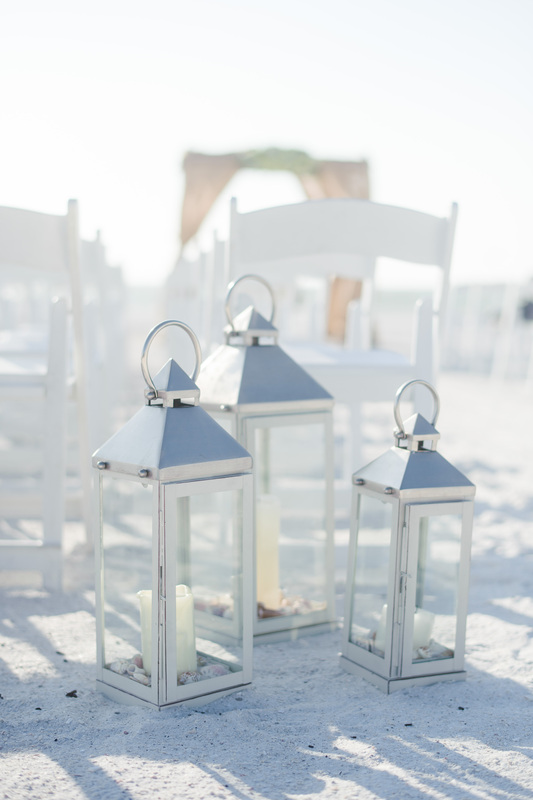 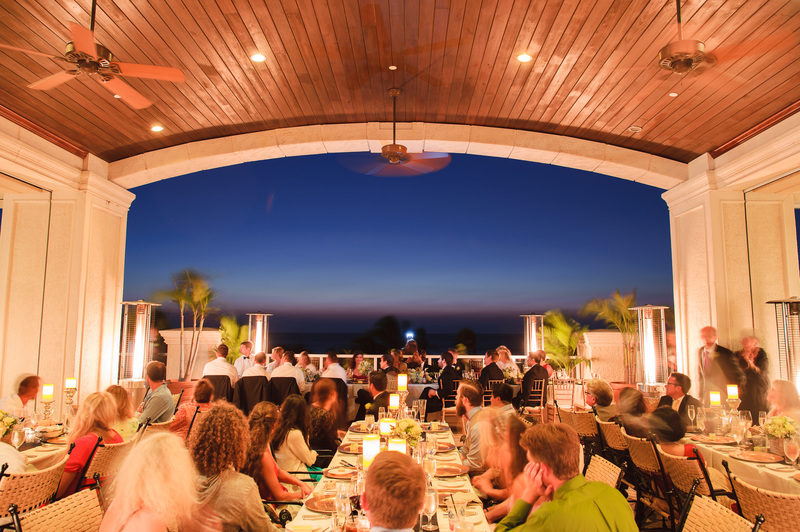 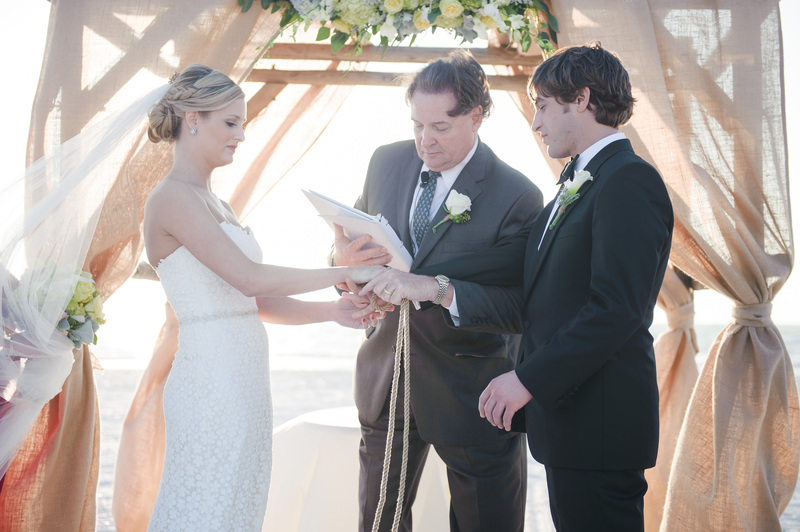 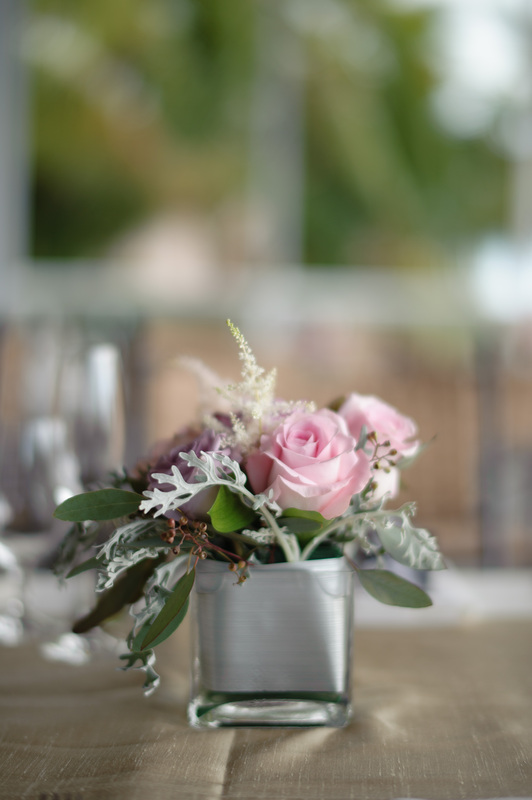 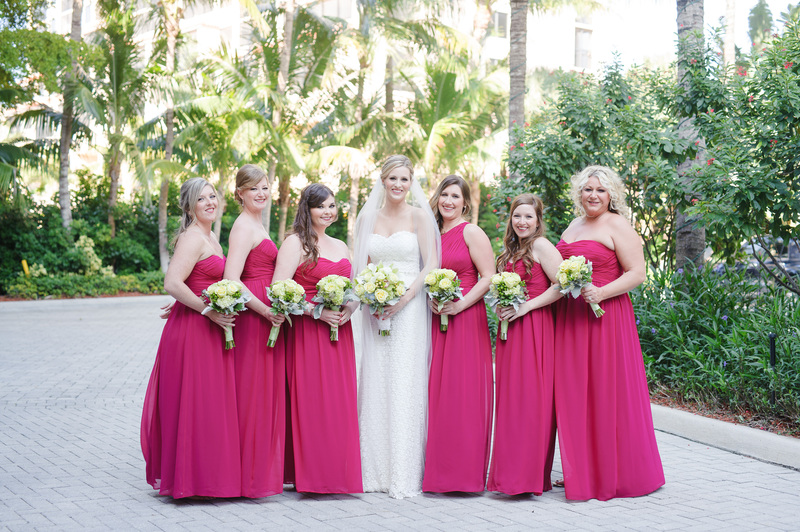 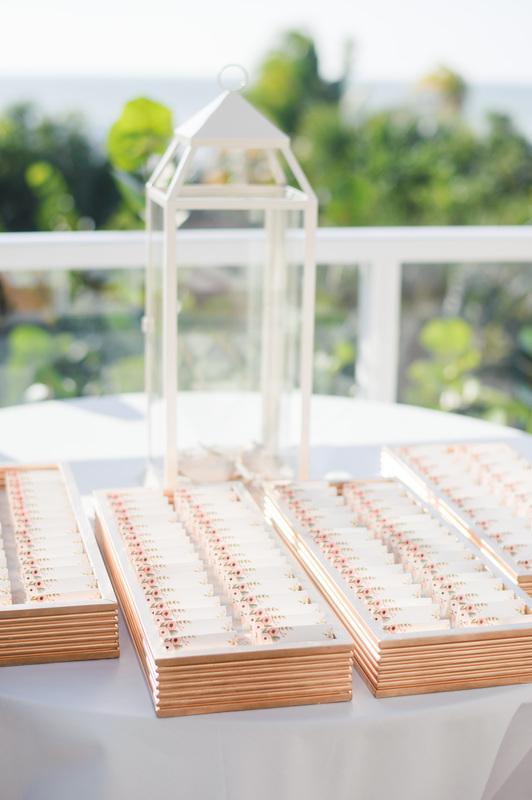 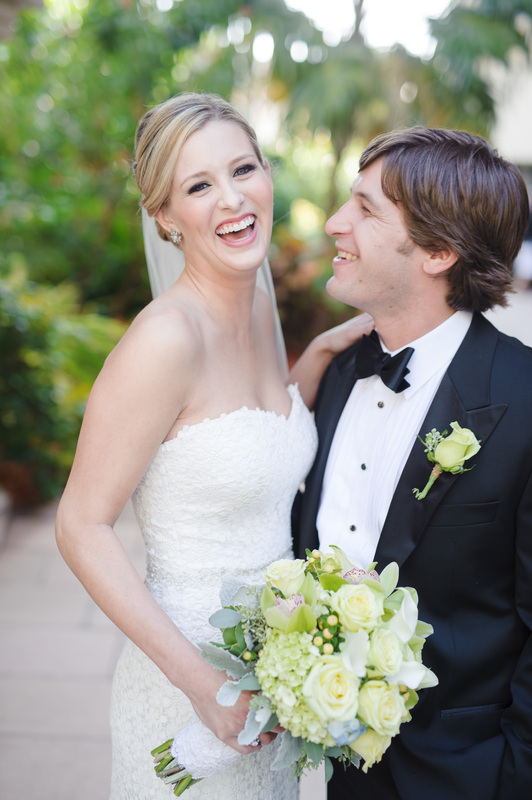 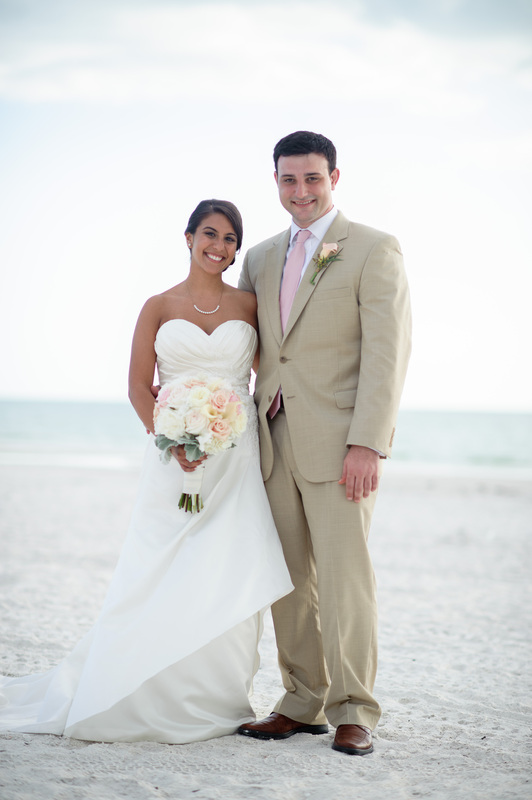 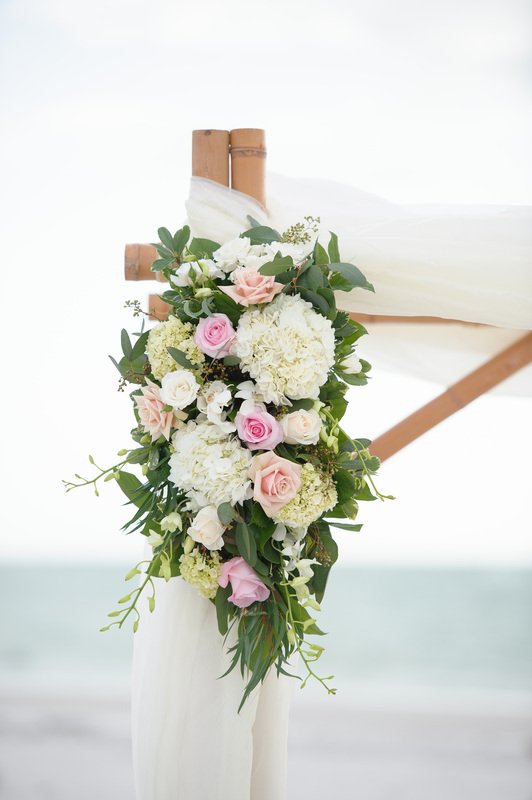 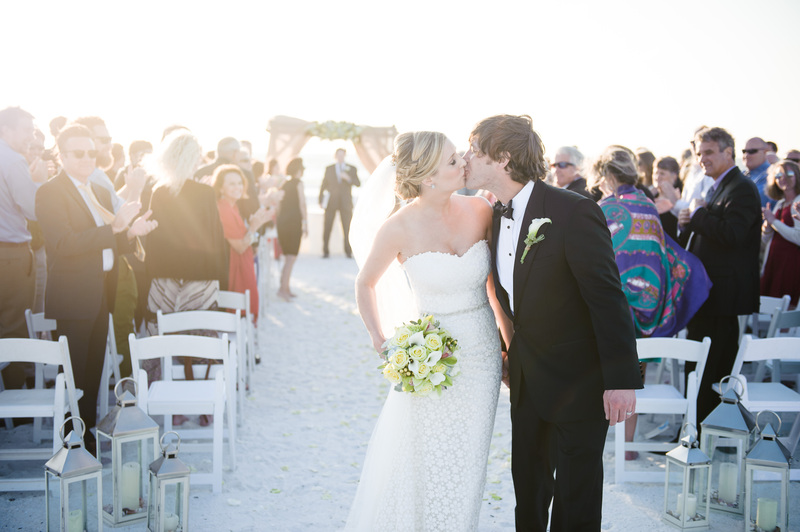 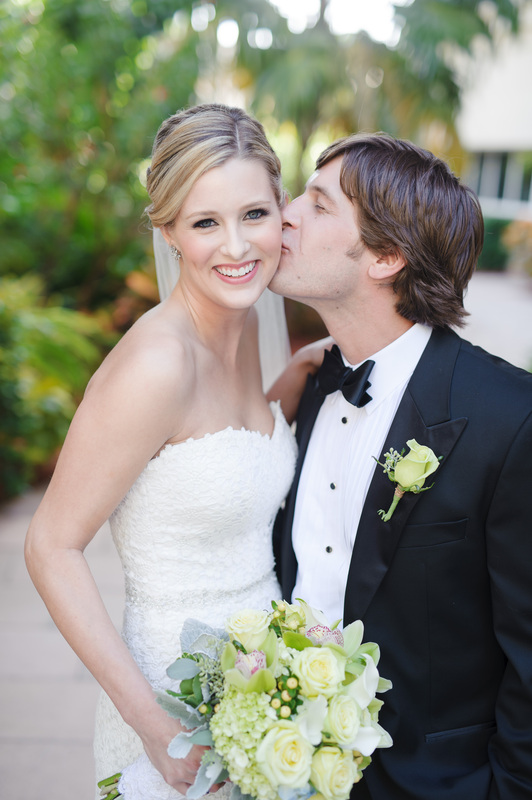 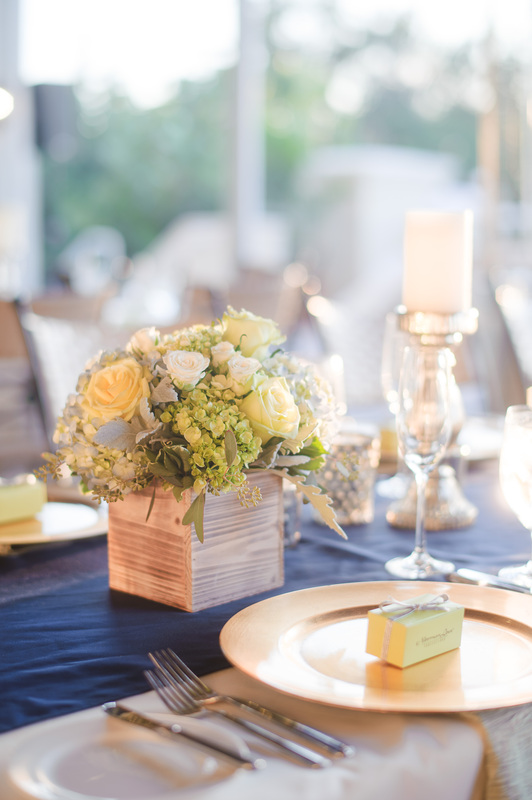 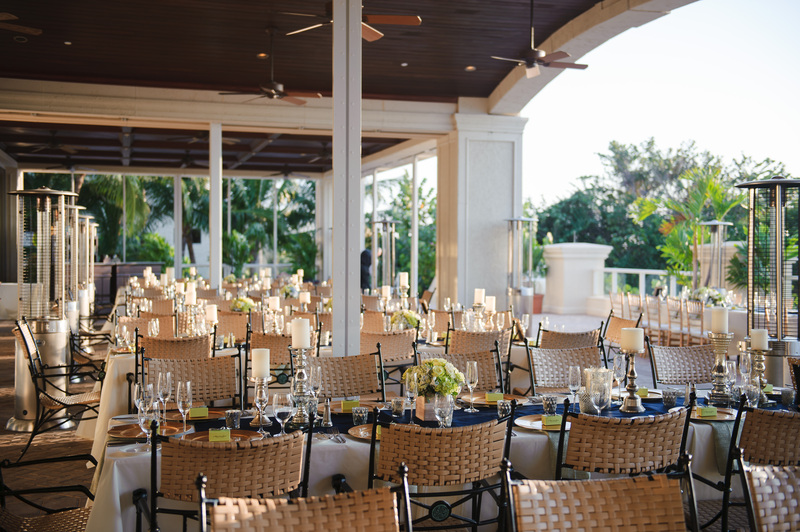 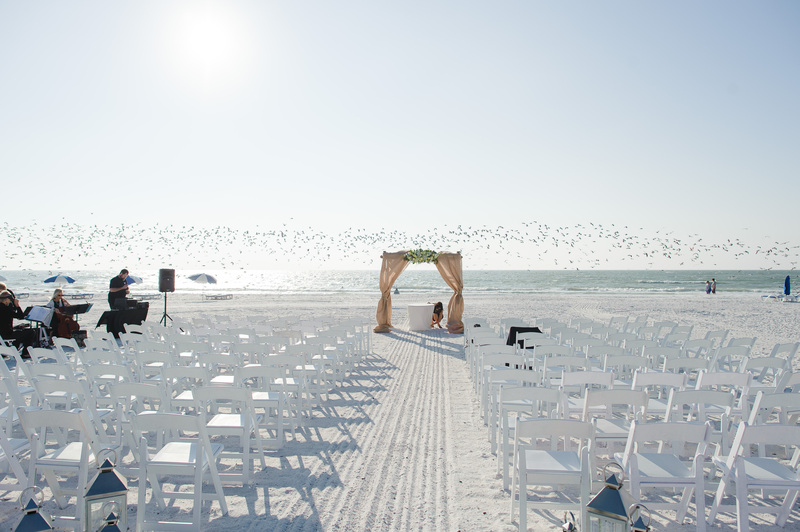 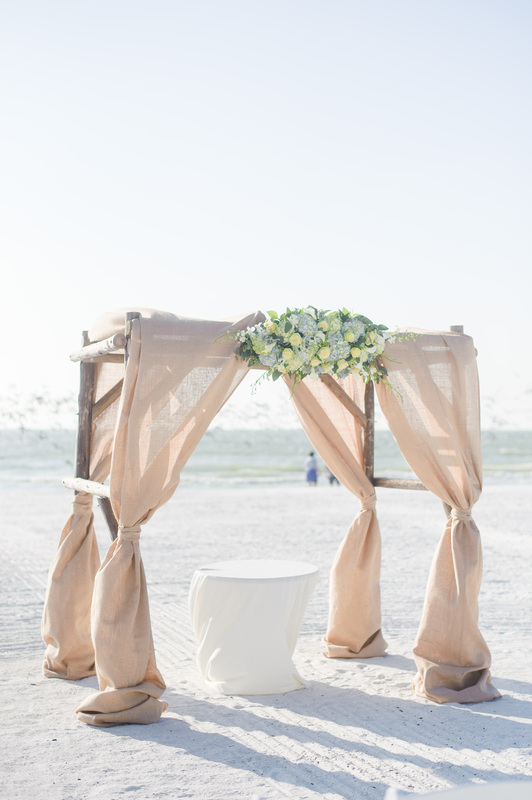 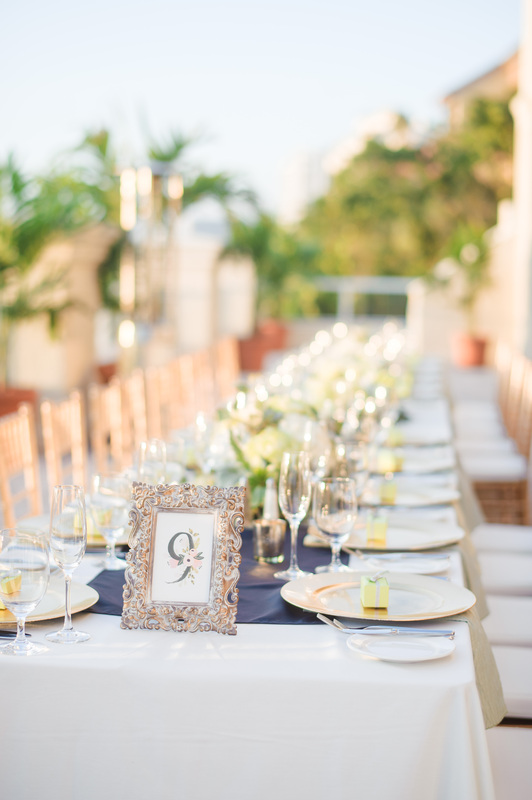 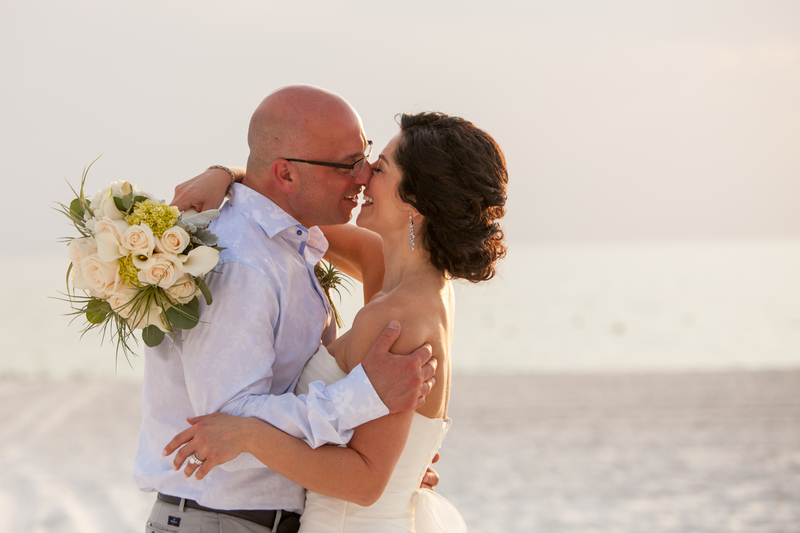 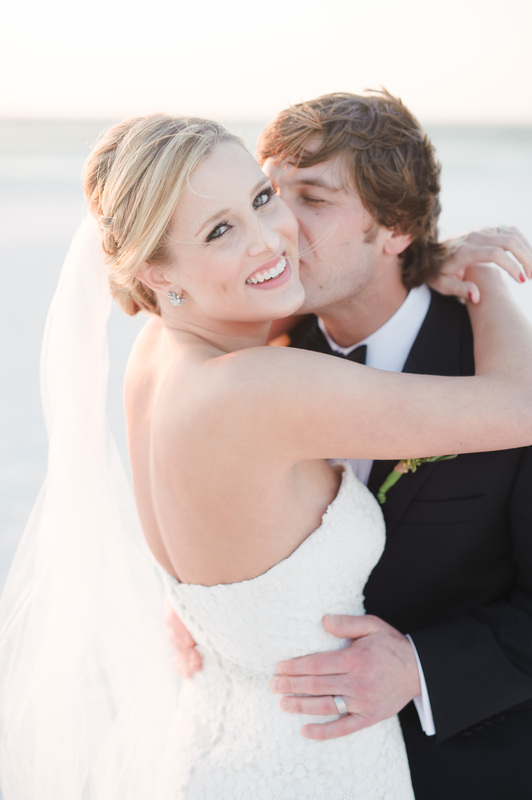 Caty and Matthew had a beautiful wedding at the Marco Beach Ocean Resort. 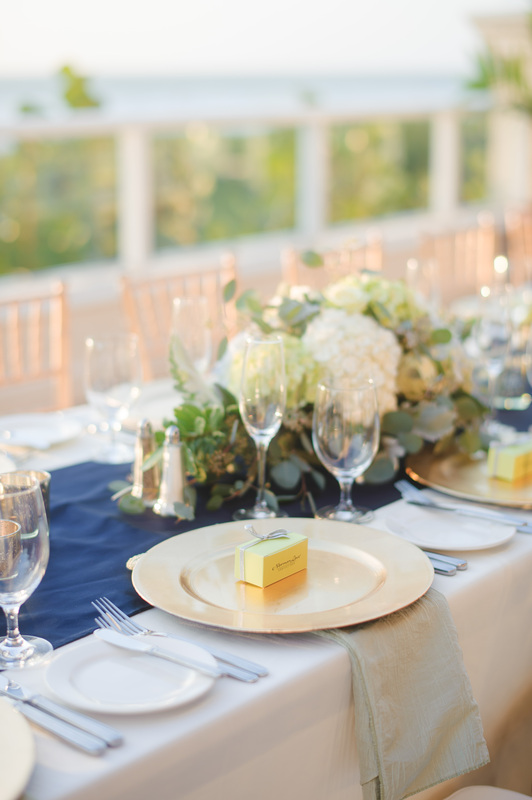 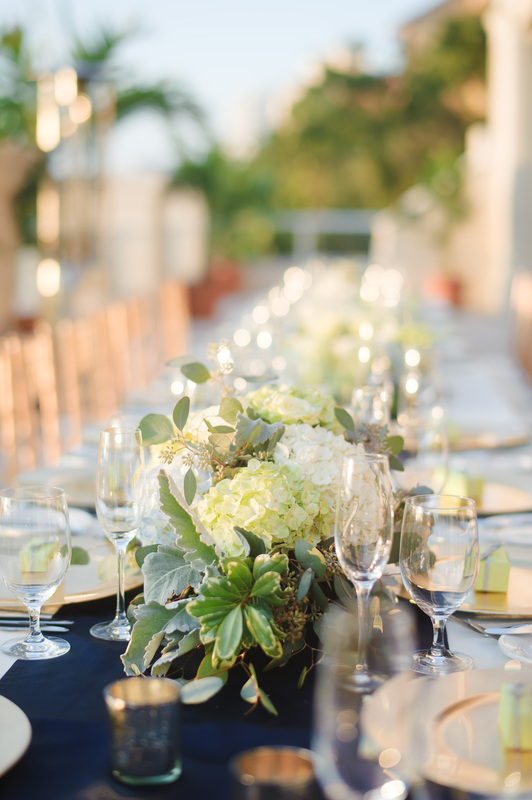 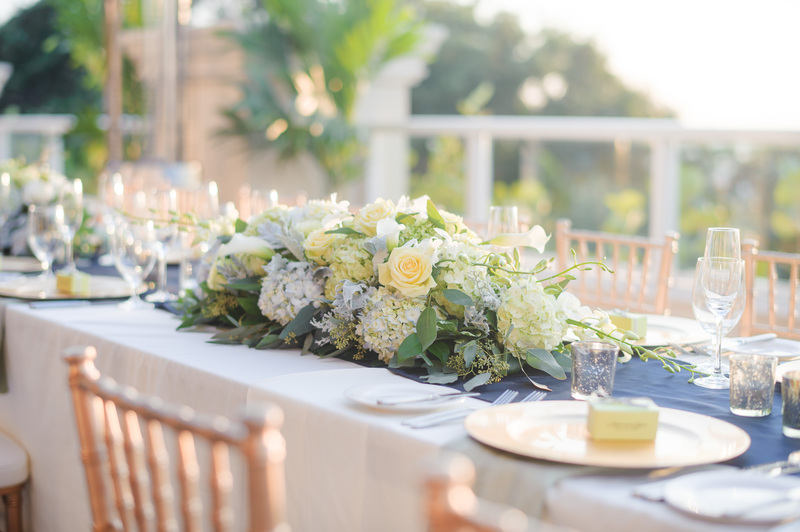 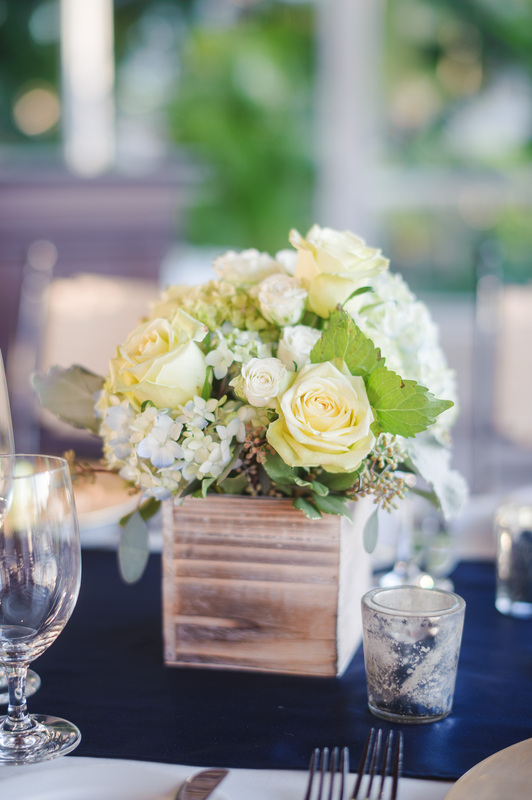 The florals were a lovely mix of hydrangeas, roses, orchids and lilies in ivory, yellows and greens – a perfect combination to compliment the blue table runner on the main table. 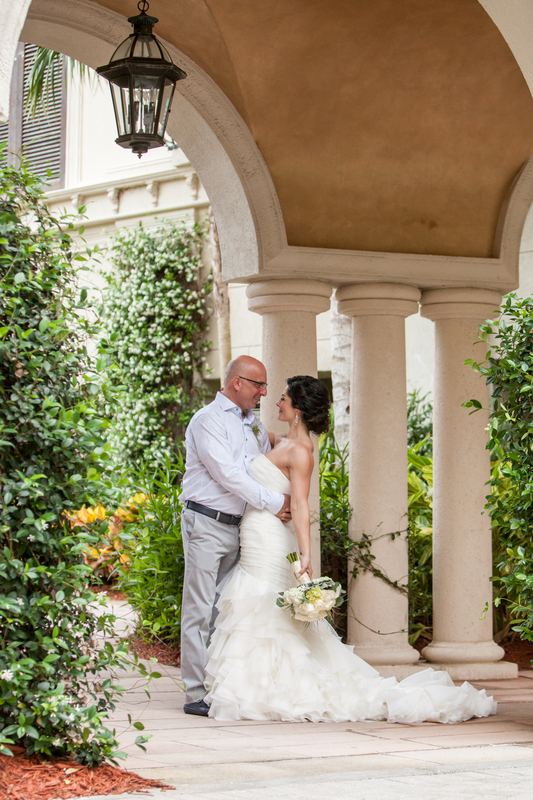 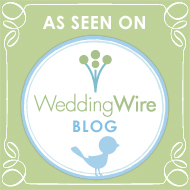 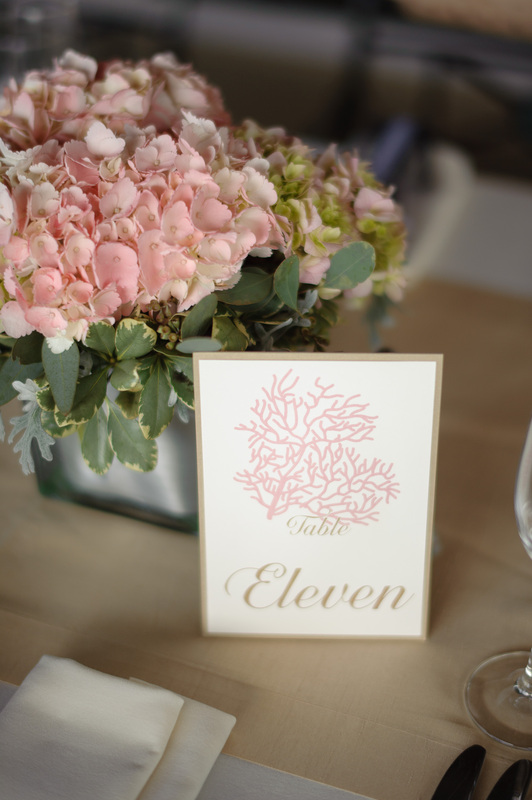 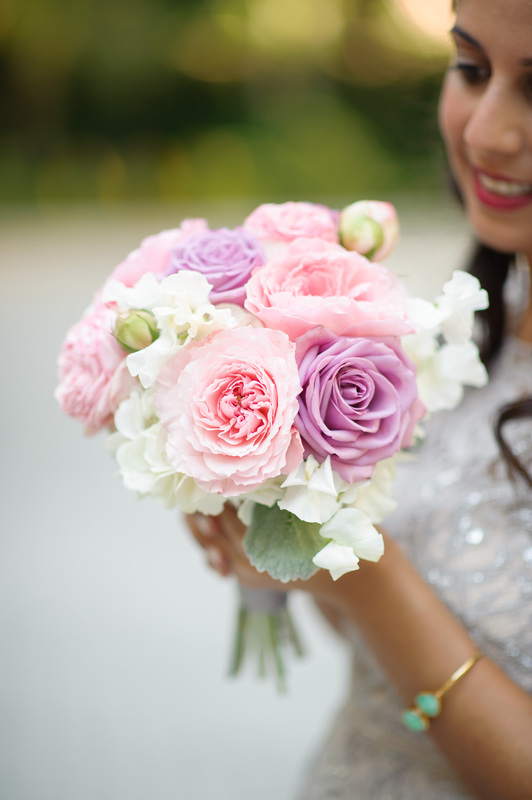 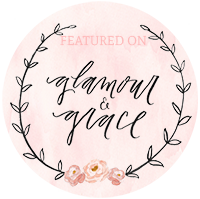 The day was expertly planned by Along Came Stephanie and the photographs captured by Luminaire Foto. 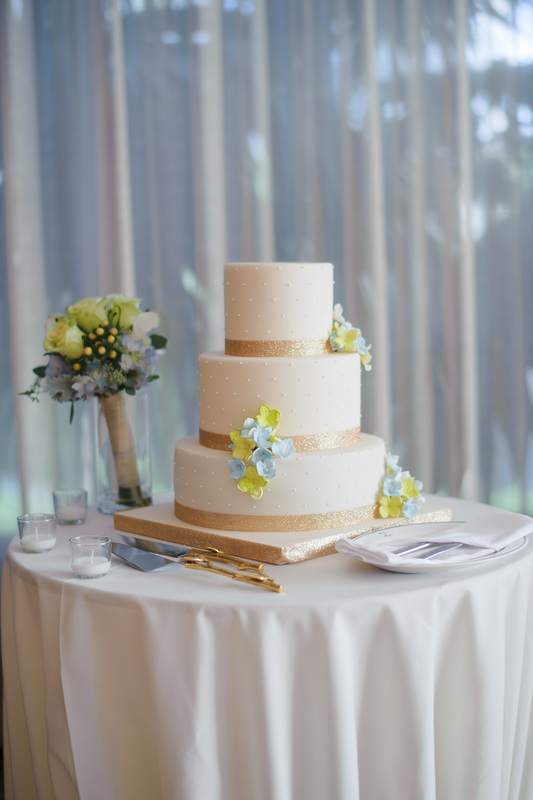 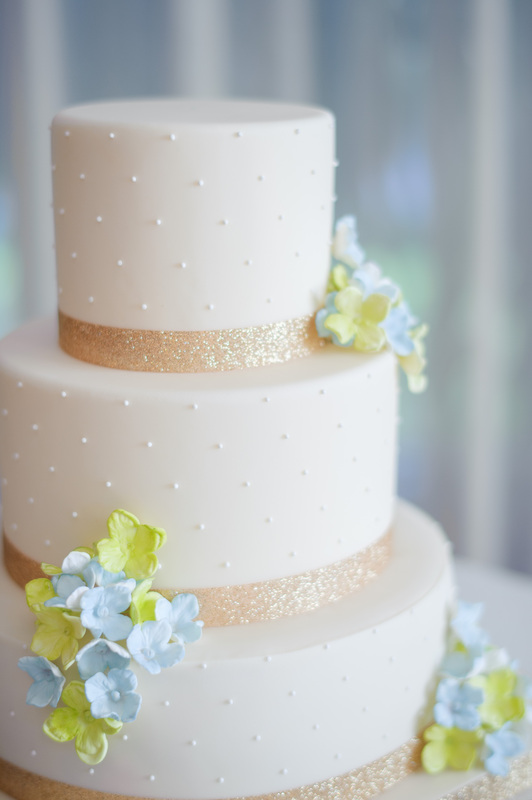 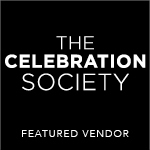 Kakes by Karen created the gorgeous cake and fabulous design elements from Niche Event Rentals.